Some of our best vacations revolved around activities the entire family could enjoy: video arcades with old fashioned pinball machines, bowling alleys with rented shoes, pitchers of sodas, and tasty pizza delivered right to the alley we were camped out in, or long games of miniature golf where we laughed at the funny windmills and octopuses that kept us from getting that hole in one we thought we earned. 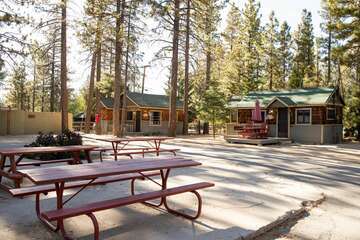 Today, you can recreate that memory-building vacation at the Big Bear Funplex at 40679 Big Bear Boulevard, which is guaranteed to be real close to your Big Bear cabin. Featuring laser tag, ice skating, miniature golf, arcade games (the kind with the tickets for winning prizes) and bowling, if you can’t find something that interests you here, you really aren’t trying! We love everything about bowling—the rented shoes, the tasty foods and drinks, the sounds of the pins crashing to the floor, and on the very rare occasions we are bowling well, the sight of the turkey doing its thing on the scoreboard over our heads after we get three strikes in a row! The bowling alley at the Funplex, Big Bear however, has a little something extra for a late-night treat: glow bowling, where the lights dim, the balls glow, and the music is hopping! They also show music videos and provide bumpers for the younger members of your family that get a little frustrated when they get gutter balls. A full bar and snack bar offer something for everyone; bowling can be thirsty work! A vacation in Big Bear is guaranteed to be one filled with fun and exciting adventures, and when you visit the amusement center in the Big Bear Funplex, you’re guaranteed to etch up the excitement a few levels. Younger kids love winning tickets by the handful and then redeeming them for the cool gifts at the front counter in the arcade; older kids love shooting bad guys in laser tag; and everyone loves the opportunity to play miniature golf by black light! Add in a romantic turn on the ice for your parents and we think you will have to agree with us that the Big Bear Funplex is a simply wonderful family experience. 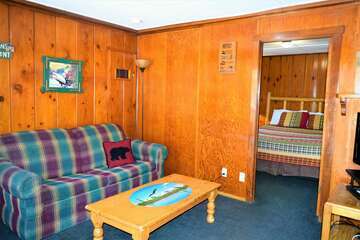 Discover the playful side of your entire family at the Big Bear Funplex. 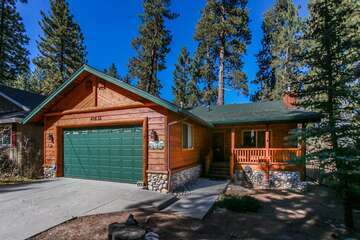 Book your romantic and rustic Big Bear Cabin today!